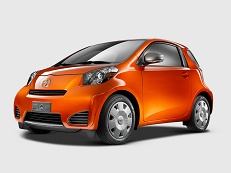 Correct Wheel Sizes, PCD, Offset, Rims and Tire specs for Scion iQ series. Will the 16" rims from a 2015 Scion iQ fit any other cars? Will the 16" steel rims from a 2015 Scion iQ fit any other cars and if so, what cars will they fit?